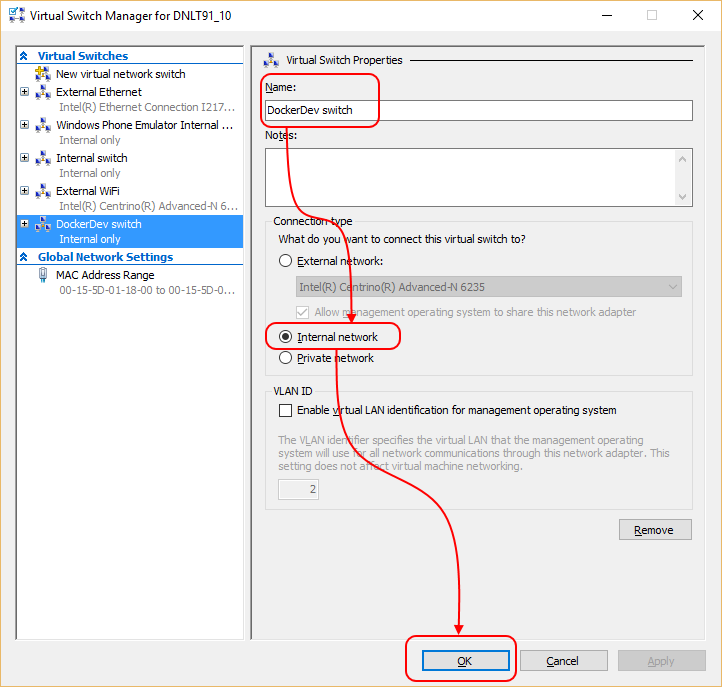 Solution: create a local Docker host on Hyper-V. Unfortunately, the process is a little finicky, so I thought I’d describe it here. Next thing to do is create a local Docker host. First, let’s get our Hyper-V infrastructure set up. We’re using an internal network here, to make sure that the IP address stays the same, even through reboots or when you connect your development machine to a different network. 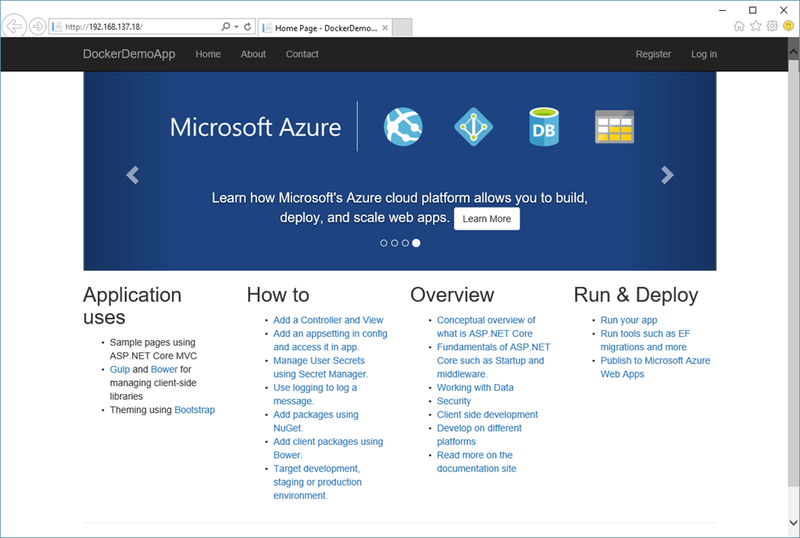 The downside of using an internal network is that it’s not connected to your external network, and so things like downloading Docker images from public repositories or restoring NuGet packages from public feeds will not work. 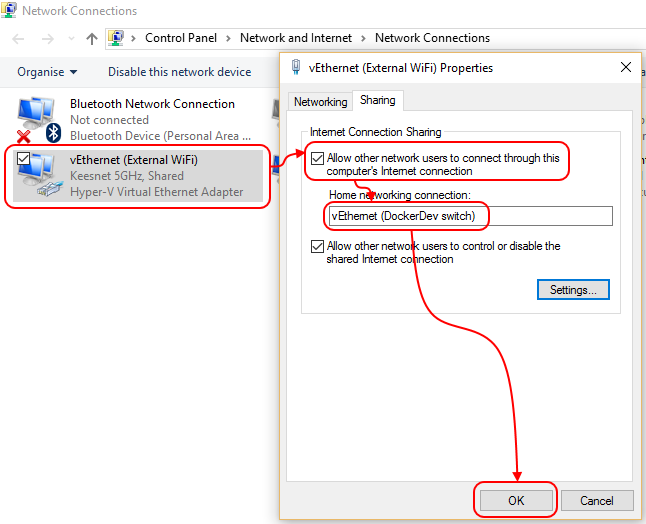 To overcome this, we can use the Internet Connection Sharing feature to share our internet connection with the newly created internal network. 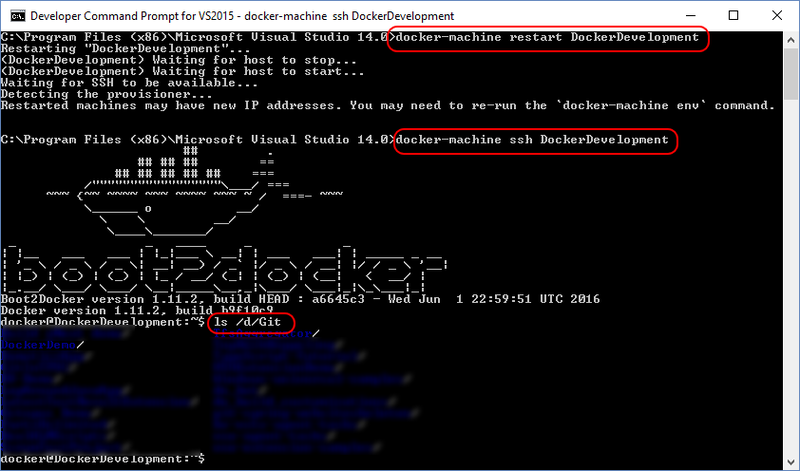 Next thing to do is create the virtual machine that will be your Docker host. The Docker Toolbox provides a nice little commandline tool to manage Docker hosts: docker-machine. You can use this to create, start, stop or delete a Docker host. 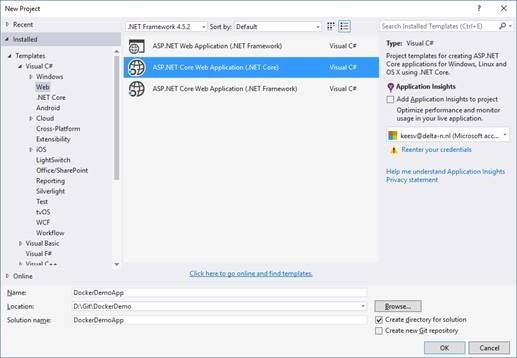 To make the “Edit & Refresh” experience work, the Docker tools for Visual Studio expect that the folder in which you keep your code on your development machine is shared to the Docker host VM at the same path. 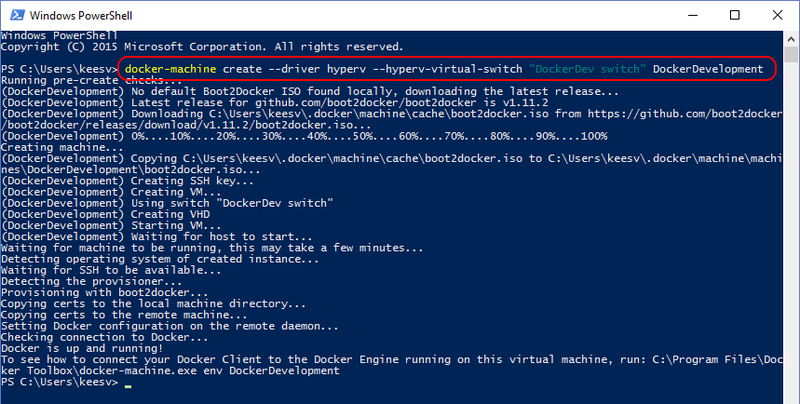 The Docker toolbox takes care of this automatically if you use VirtualBox. 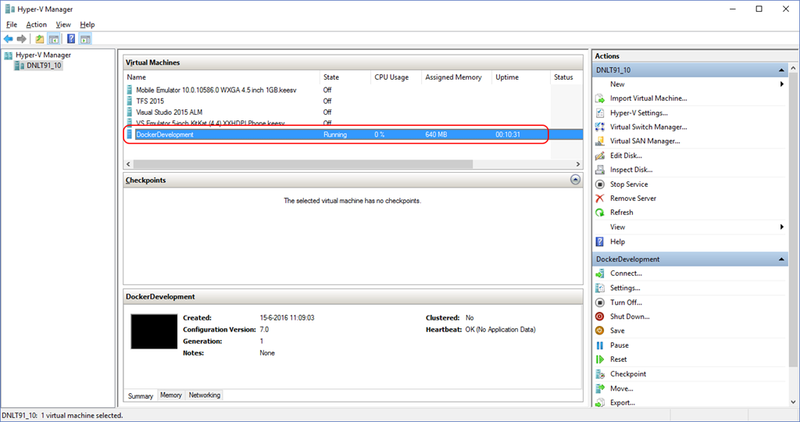 However, when using Hyper-V you will need to take care of this yourself. In my case, I keep all my code on my Windows machine under “D:\Git”. 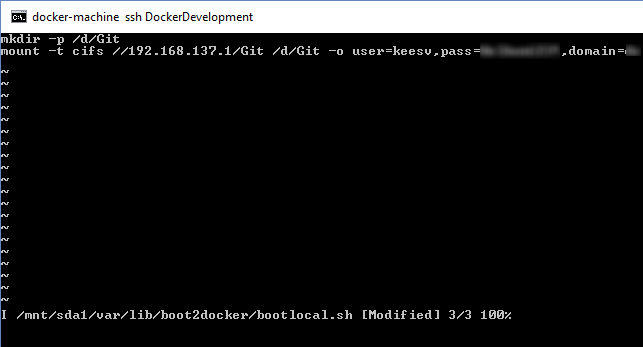 We’ll need to share this to the Docker host VM, but since this is a Linux VM, the path will look a little bit different: “/d/Git”. 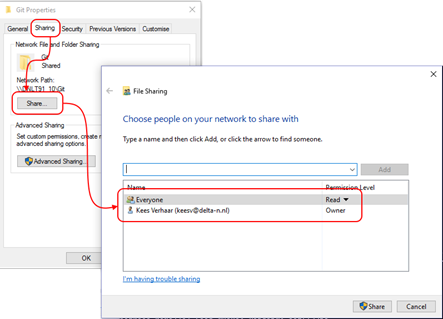 We’ll use normal Windows network sharing to achieve this. Exit vi by typing Ctrl + c, then “:wq” and hit <enter>. 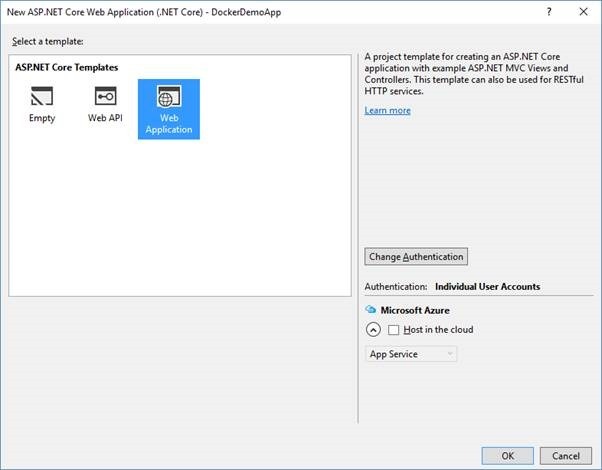 To see that all the bits are working together, we’ll create a very basic ASP.NET Core app and run it in a Docker container on our freshly created Docker host. First, create the app. Make sure that it’s created inside the folder that you just shared to your Docker host! 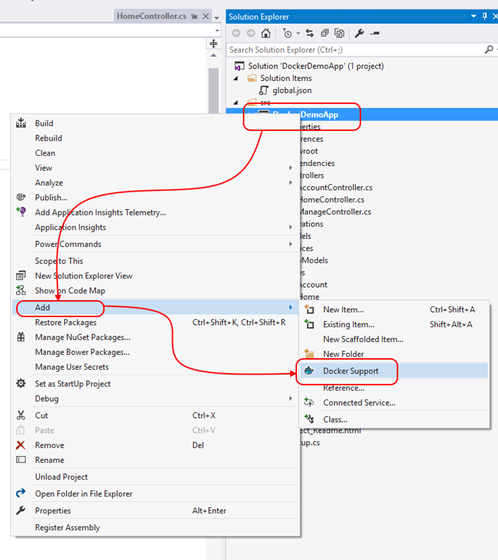 Notice that the Visual Studio debugger is connected to your app running inside the container, so you can set breakpoints, use watches and all the other goodies that make Visual Studio so nice for debugging!